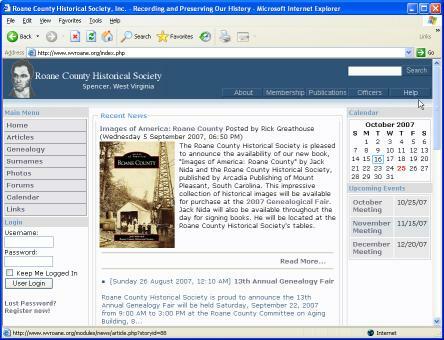 We really hope you will enjoy the new Roane County Historical Society Website, and we hope you will find it easy to use. Unfortunately, one person's easy can be someone else's confusing, so we've put together some basic pointers to help you get started. Copyright © 2002-2017 Roane County Historical Society, Inc.